This is an original production cel from the Walt Disney Studios production Alice in Wonderland (1951). 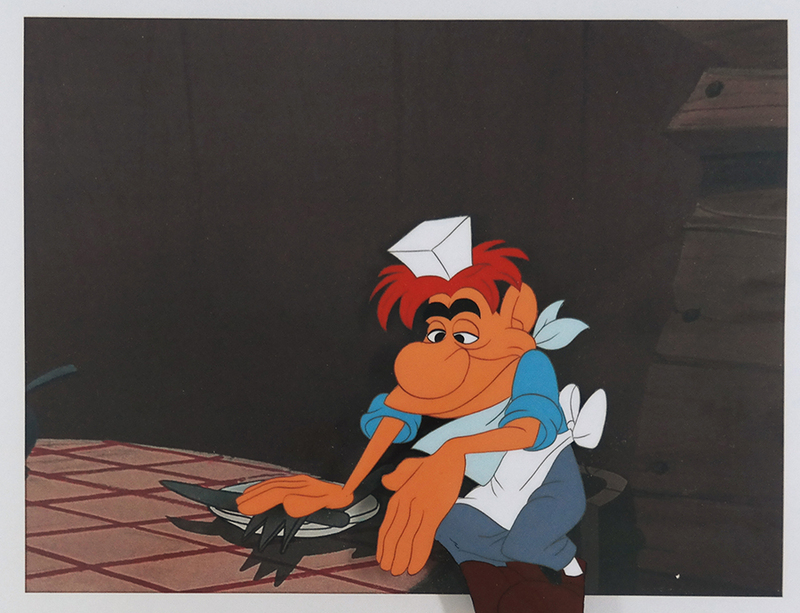 This hand-painted cel features The Carpenter as he joins the dinner table to dine on the oysters. This is just before he realizes The Walrus has already eaten them all. It was created at the studio and used during production, representing an actual frame of animation that was photographed and appears in the film. The overall measurements of the slightly trimmed piece are 11" x 14"" and the image itself measures 4.5" x 4". 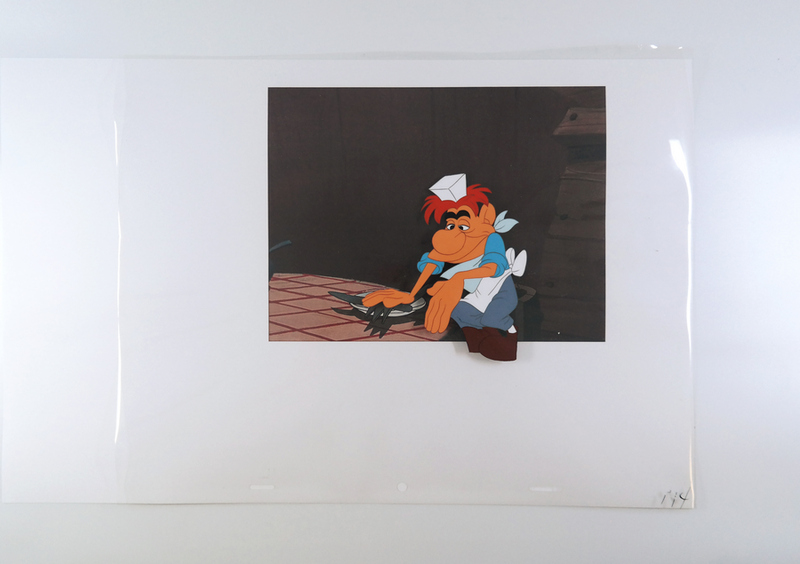 The cel is in very good condition and is paired with a color copy reproduction background.